University of Pittsburgh Cancer Institute (UPCI) researchers have uncovered a technique to halt the growth of cancer cells, a discovery that led them to a potential new anti-cancer therapy. When deprived of a key protein, some cancer cells are unable to properly divide, a finding described in the cover story of the February 2013 issue of the Journal of Cell Science and first published online on .September 26, 2012 in that journal. "This is the first time anyone has explained how altering this protein at a key stage in cell reproduction can stop cancer growth," said Bennett Van Houten, Ph.D., the Richard M. Cyert Professor of Molecular Pharmacology at UPCI and senior author of the research paper. "Our hope is that this discovery will spur the development of a new type of cancer drug that targets this process and could work synergistically with existing drugs." All cells have a network of mitochondria, which are tiny structures inside cells that are essential for energy production and metabolism. 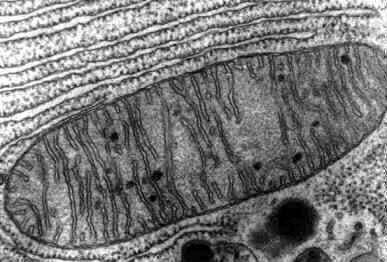 Dynamin-related protein 1 (Drp1) helps mitochondria undergo fission, a process by which they split themselves into two new mitochondria. In breast or lung cancer cells made to be deficient in Drp1, the researchers observed a huge network of highly fused mitochondria. These cancer cells appear to have stalled during a stage in cell division called G2/M. Unable to divide into new cells, the cancer growth stops. Those cells that do try to divide literally tear their chromosomes apart, causing more stress for the cell. The cover of the Journal of Cell Science includes a colorful image of a breast cancer cell deficient in Drp1 that is stuck during the process of separating its chromosomes into two identical sets to be divided among two new cells. Lead author Wei Qian, Ph.D., a postdoctoral fellow in Dr. Patients with type 2 diabetes treated with insulin could be exposed to a greater risk of health complications including heart attack, stroke, cancer, and eye complications, a new study has found. Examining the UK Clinical Practice Research Datalink (CPRD) - data that characterises about 10% of the UK population - a team of researchers from Cardiff University's School of Medicine looked at the risk of death for patients taking insulin compared with other treatments designed to lower blood glucose levels in people with type 2 diabetes. The team's epidemiological study found people have greater risk of individual complications associated with diabetes such as heart attack, stroke, eye complications, and renal disease when compared with patients treated with alternative glucose-lowering treatments. The report was published online on January 31, 2013 in The Journal of Clinical Endocrinology & Metabolism. "Insulin treatment remains the most longstanding blood-glucose-lowering therapies for people with type 2 diabetes, with its use growing markedly in recent years," according to Professor Craig Currie from Cardiff University's School of Medicine, who led the study. "However, with new diabetes therapies and treatments emerging there has been a new spotlight on treatments to ensure what the best and safest form of diabetes treatment is. By reviewing data from CPRD between 1999 and 2011 we've confirmed there are increased health risks for patients with type 2 diabetes who take insulin to manage their condition," he adds. The study adds to previous findings which identified potential health risks of insulin in this specific group of people. 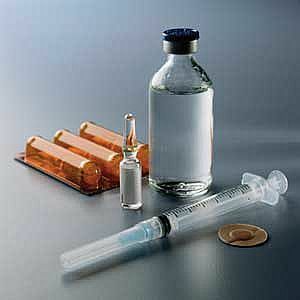 Initial concerns were first raised regarding the use of insulin in type 2 diabetes from a population-based study in Canada, which reported a three-fold increase in mortality. Two wasp species, Calymmochilus disparand Gelis apterus, have been recorded as parasitoids on ant-eating spiders in a study published online on February 1, 2013 in the open-access journal ZooKeys. The host spider,Zodarion styliferum, belongs to the largest genus of predominantly ant-eating spiders. Their distribution area includes Europe, Asia, and North Africa, significantly, with at least 35 species reported for the Iberian Peninsula only, marking a record in numbers in Portugal, where this study was conducted. Available data on the biology of the host spider shows that all species of the genus Zodarion are compulsory ant eaters. What is interesting is that these spiders perform aggressive mimicry, i.e., disguise as ants to help them in their hunt and to capture their prey. These crafty hunters are often nocturnal wanderers and mainly active in twilight. During the day, these spiders remain hidden in carefully built igloo-shaped stone retreats that are attached to the underside of rocks or dead wood. The igloos provide protection against unfavourable environmental conditions and enemies such as ants. Despite these evolutionary advancements in the fight for survival, however, the Z. styliferum spider turns out to be an easy victim for wasp species in their efforts striving for reproduction. The predatory wasp attacks during daylight when the spiders are inactive. The females of the parasitoid wasp species attack the hosts in the shelter of their igloo, penetrating the walls with their long ovipositors. When collected for this study, the wasp larvae were attached to the abdomen of an immobilized spider juvenile, which they used as food for their own development. Apart from feeding on the juveniles, the peculiar home of the ant-eating host provides another convenience for the parasites. The larva of G.